Warner Huston of Breitbart.com reports that “A mob of teenagers went on a rampage through a carnival in Oakland, California on Saturday, jumping over the counters of the carny games, breaking things and stealing teddy bears and other game prizes. Carnival workers said the teens caused up to $30,000 in damages and loss. The March 11 free-for-all at the Butler Carnival held in East Oakland was captured on cellphone video. 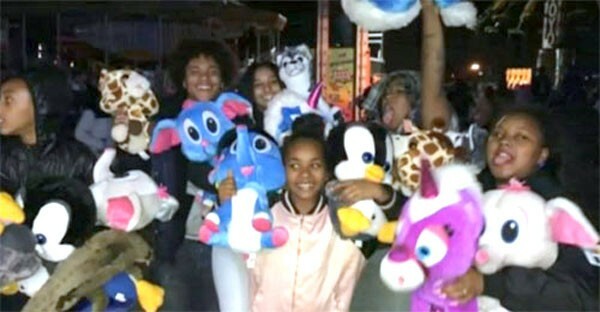 The teens began jumping counters to steal teddy bears and other prizes from the carnival workers. But it wasn’t merely theft the teens perpetrated. Carnival workers said that at least one employee was hit with a brick. Two workers also ended up in the hospital. Many say they are still frightened. Many of the prizes were found ripped and destroyed after the attack, KRON reported. After the weekend, Butler Amusements packed up its carnival and left the area ahead of schedule. Police say the mob of teens numbered in the hundreds, but thus far no arrests have been made. Could Illegal Unaccompanied Minors Be Spreading New Mystery Virus?